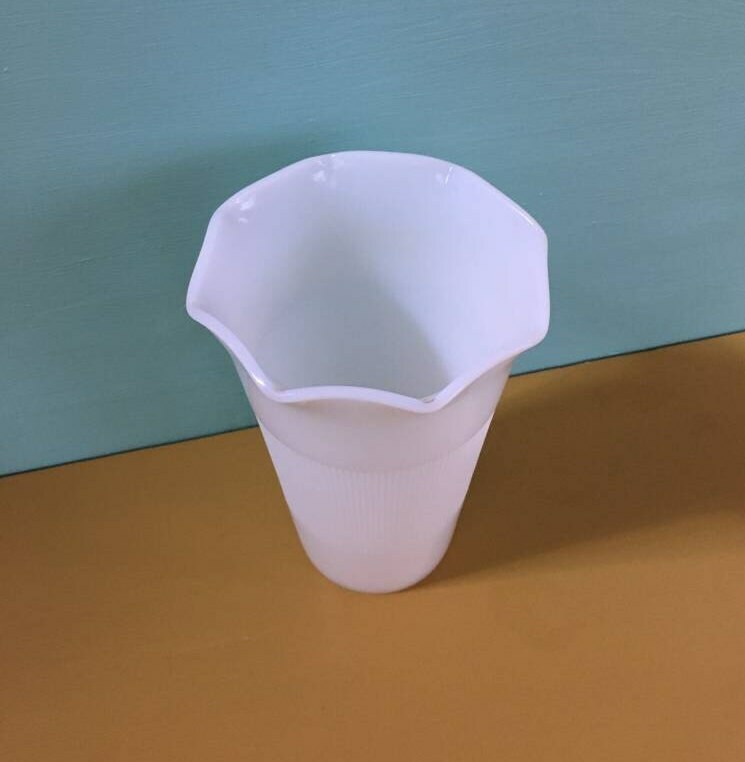 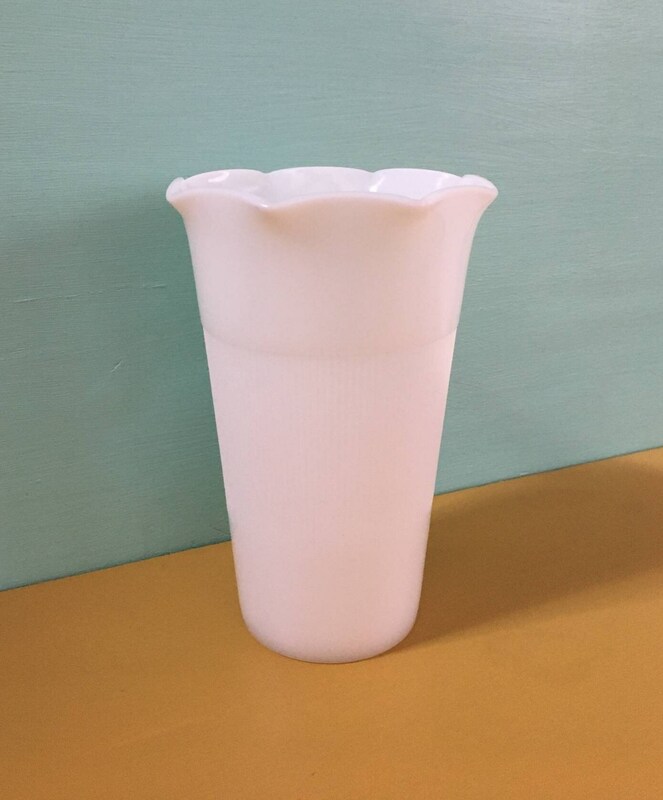 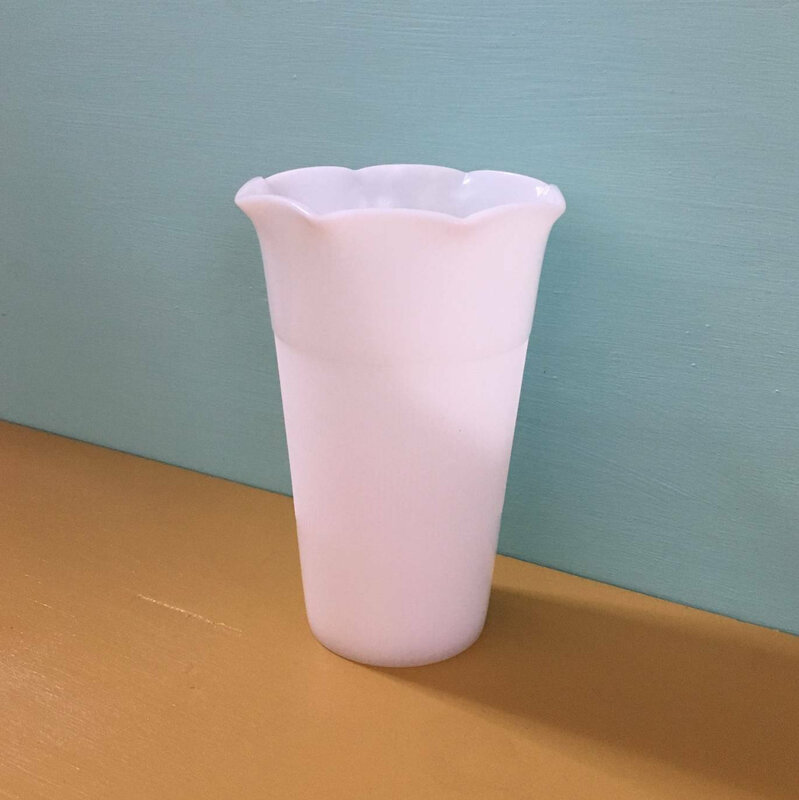 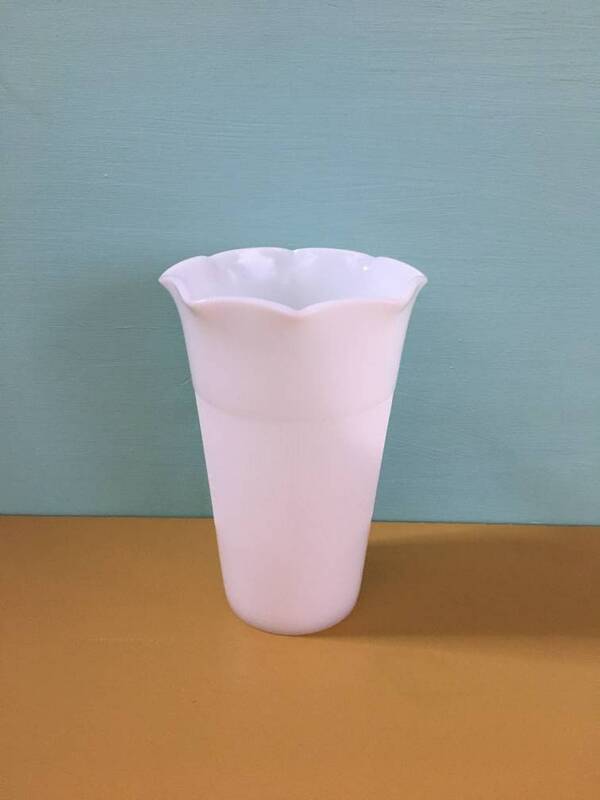 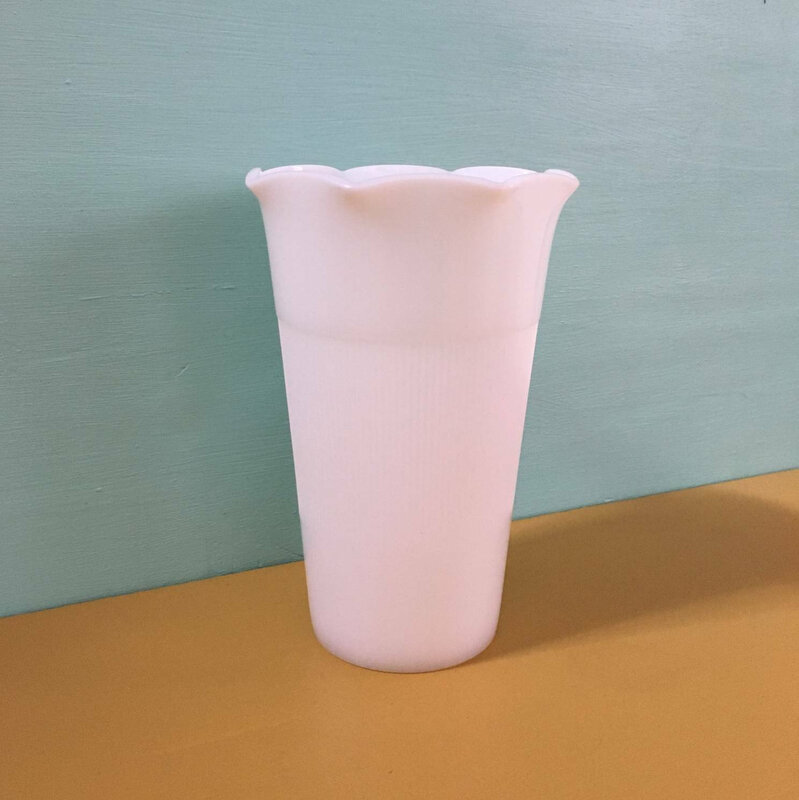 Vintage 1950s white tapered milk glass vase with wavy top edge and round base. 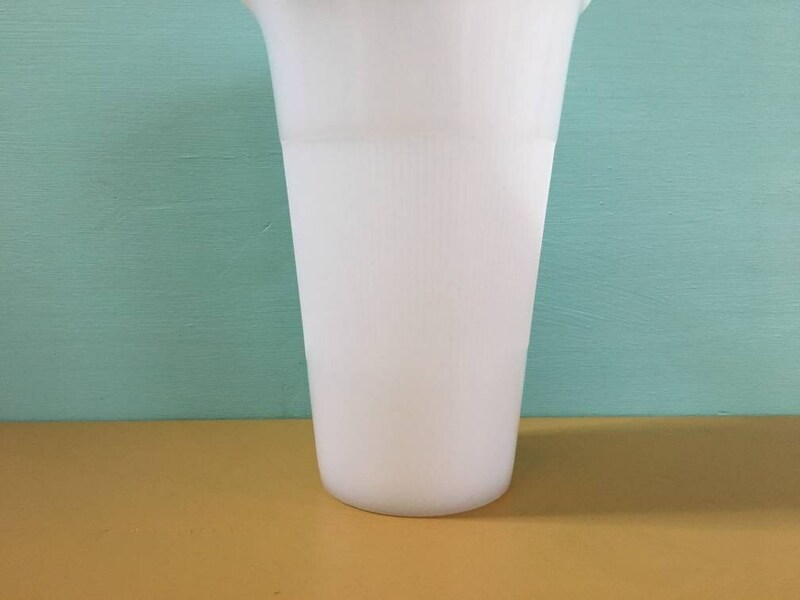 Near perfect vintage condition; little to no wear from age and use. 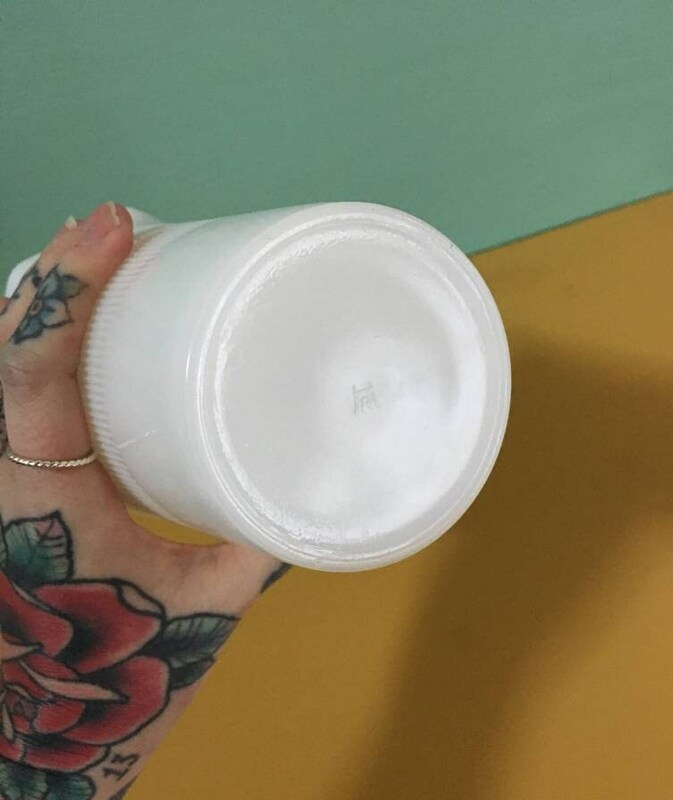 No chips, cracks, deep scratches, markings, areas of discoloration, stains or other issues / damage. 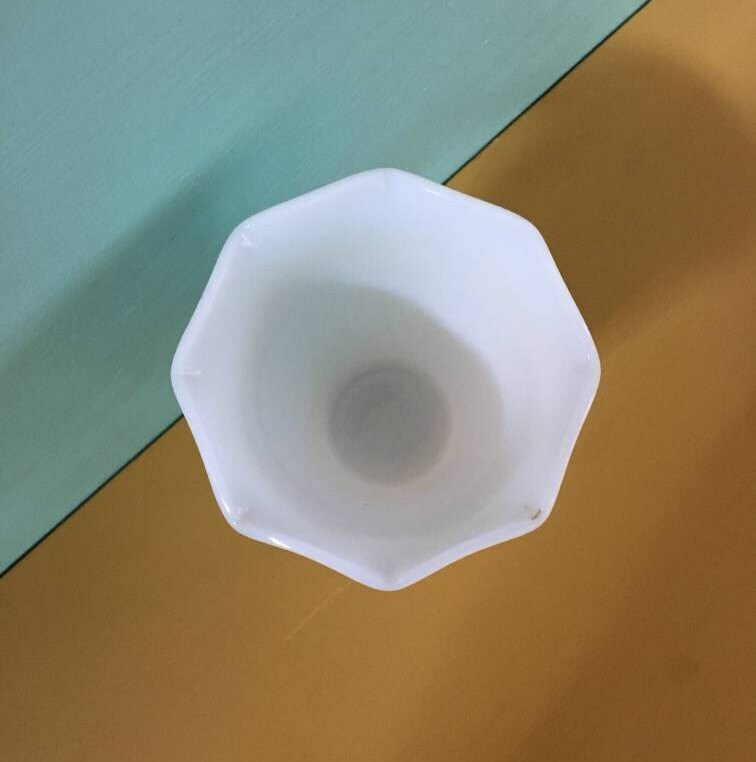 Wavy, ridge design at top edge; thick panel of thin, vertical ridges around center of vase (see photo). 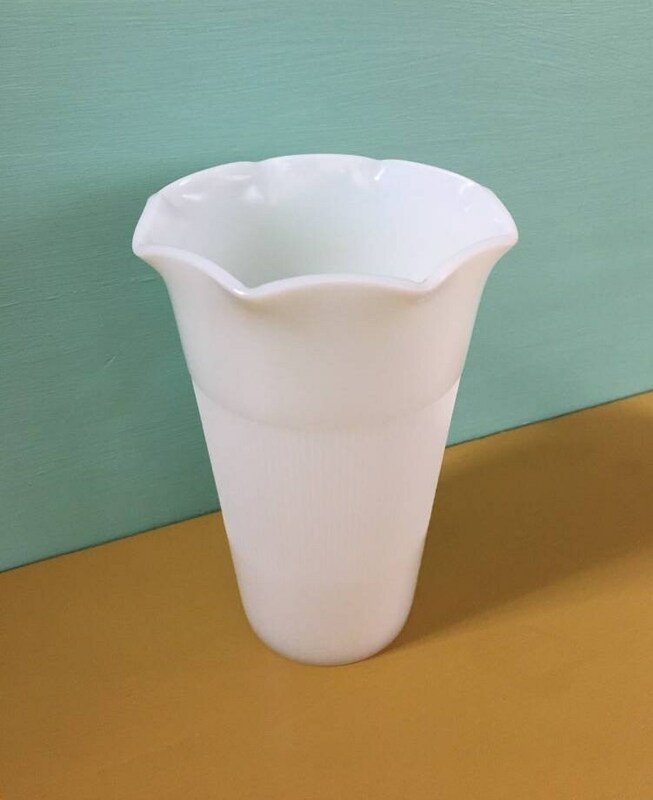 Made by Anchor Hocking (see photo of bottom of vase).